Let's say you need to work from home, another office, or take some files with you to a client. That means packing up your laptop and hoping you have all the documents that you'll need. Once you're far from the office, you realize that you don't have the latest version of the presentation! Does that sound familiar? If it does then BPD has solutions that will make taking your work with you easier than ever. With BPD we offer the option to file sync through eFolder. With eFolder using cloud file sync technology you will have access to whatever files you need on-the-go. Simply sync any device and have access to any size file you need to continue your work. Additionally if you need to sync and share folders or files with fellow employees or clients you will have control over the security of your information as well as what can be edited. With our integration of cloud recovery you will never be stranded without your data! To minimize risk during a disaster use eFolder Cloud so that you have access to servers no matter what the situation, even in an emergency. 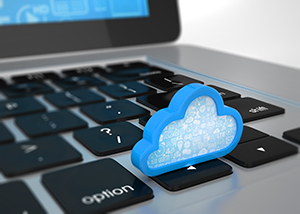 With our backup and cloud services, never be caught under-prepared again!